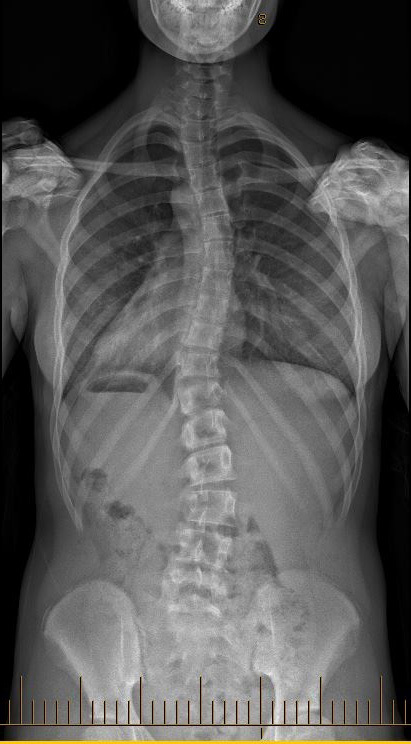 Scoliosis is a three dimensional deformity of the spine and trunk involving rotations and translations of the involved vertebrae. Idiopathic was a term introduced by Kleinberg (1922) and is applied to all clients in which it is not possible to find a specific disease causing the curve. In fact, this is the case 80% of the time, where it appears in apparently healthy children. 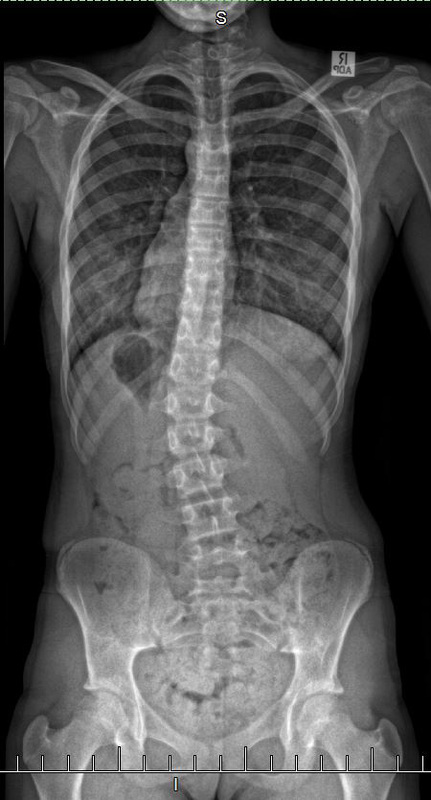 So Idiopathic Scoliosis (IS) is of unknown origin and is probably due to several causes. It can progress in relation to multiple factors during any rapid period of growth, or later in life. IS is named in relation to the age at which it was diagnosed. ‘Infantile IS’ is for children less than 3 years of age, ‘Juvenile IS’ for ages 3 to 10 years, ‘Adolescent IS’ for 10 to 18 years of age and ‘Adult IS’ for diagnosis at or greater than 18 years of age. 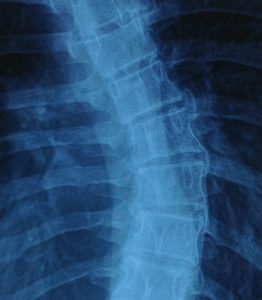 X-Rays usually demonstrate lateral (side) wedging and dorsal (back) wedging of the vertebrae at the centre (Apex) of the primary curve. It is unknown what triggers this though there are many hypotheses. Once this structural change occurs, even slightly, a vicious cycle of asymmetrical loading begins. 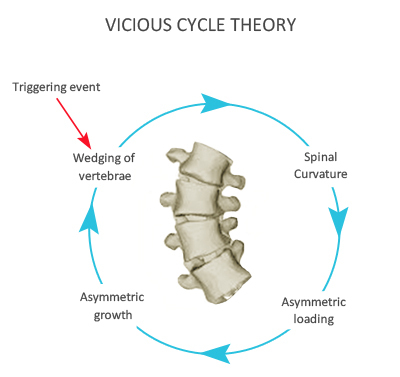 The uneven distribution of forces is believed to lead to further asymmetric growth of the vertebrae which in turn increase the size of the curve, further increasing the asymmetric loading and hence the cycle continues and self feeds. 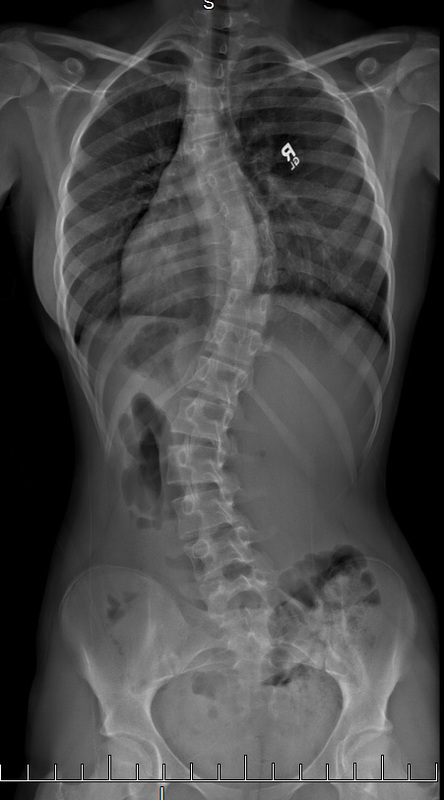 It helps to think of the scoliosis curve as having 2 main components, a structural component and a postural component. The ‘structural component’ refers to the bony malformations usually found in the vertebrae at the centre of the primary curve (as described above) and also the soft tissue restrictions that accompany them. During upright posture, we are under the influence of gravity. The effect of gravity on our spine is to increase its curves. 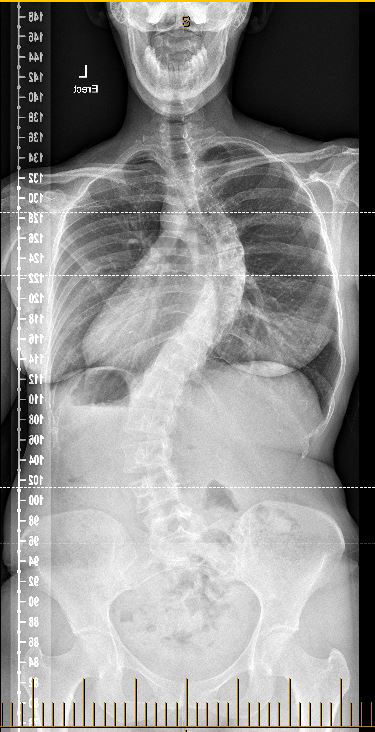 When posturally weak, our spinal curves are exaggerated. 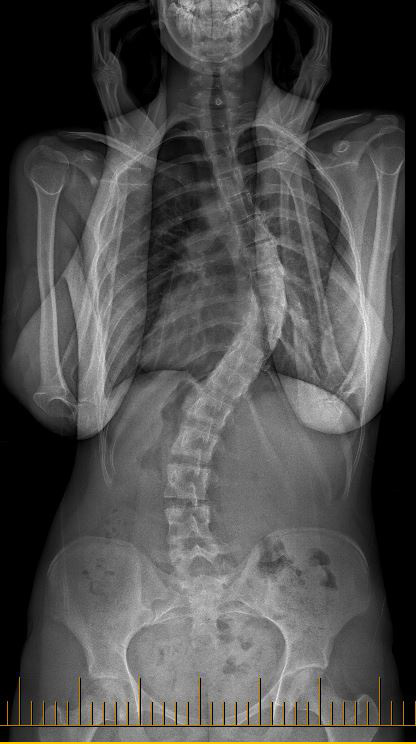 In the presence of scoliosis this means the sideways curves and rotations are often worse than they need to be, that is, worse than may be explained by the structural component. This is what we call the ‘postural component’.